Megamind (Will Ferrell) taunts the captures Metro Man (Brad Pitt). Megmind - What's the plan? Megamind - What do you want? 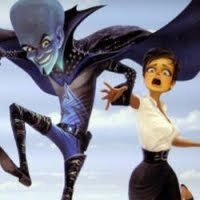 Megamind - Why isn't she screaming? 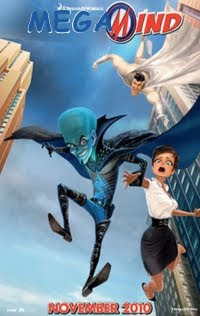 Dreamworks' Megamind is going to be a damn good movie!